In the past week I have travelled through the cities of Dubai, Bangkok, Hong Kong and the lesser known Ningbo, in China. On my travels I flew over cities I didn’t know that we’re bigger than any I had seen in the UK or Europe. These cities extend for tens of miles east-west and north-south filling bays, rivers, deltas, hillsides, islands and deserts. They are home to tens of millions of people and they stretch high into the sky with buildings touching and penetrating the clouds that hang above them. They are places where engineering and science have allowed human populations to tolerate otherwise difficult, or even inhospitable, environments. They have been built where, ordinarily it would be considered uncomfortably or dangerously hot and humid. They have been built on flood plains where rivers swell in monsoon rains or on hillsides where those waters rush through from mountainous uplands. They are served by a network of roads, railways, canals and rivers that enable otherwise isolated parts of their country to be connected. Their airports are the size of large towns and have asset values that outstrip the cities of Western Europe. They sprawl, yes, but they also have very high population density, sacrificing personal living space for the desire to be urbanised and supported by the infrastructure those cities bring. To a European or North American they would, I guess, feel claustrophobic. They are, simply, mega. Mega cities that dwarf what we, in the UK at least, have come to refer to as cities. In comparison, whilst London might hold its own (just), the cities of the UK are smaller, less relevant to the global economy and its networks. Collectively, if you bundled all the top 10 cities in the UK together, it might get to approximately half the size of Shanghai. When cities have grown up, literally, building taller and taller towers in a show of architectural bravado, they are also growing underground. You can’t help but be impressed by Hong Kong’s subway system. Not only does it connect communities across Hong Kong’s islands it connects communities through the labyrinth of supporting infrastructure like tunnels, escalators and lifts – and they air condition it too so making it more comfortable than surface level transport. All of these things support denser urban form. So, there are 3 levels in Hong Kong – underground, surface and Sky. 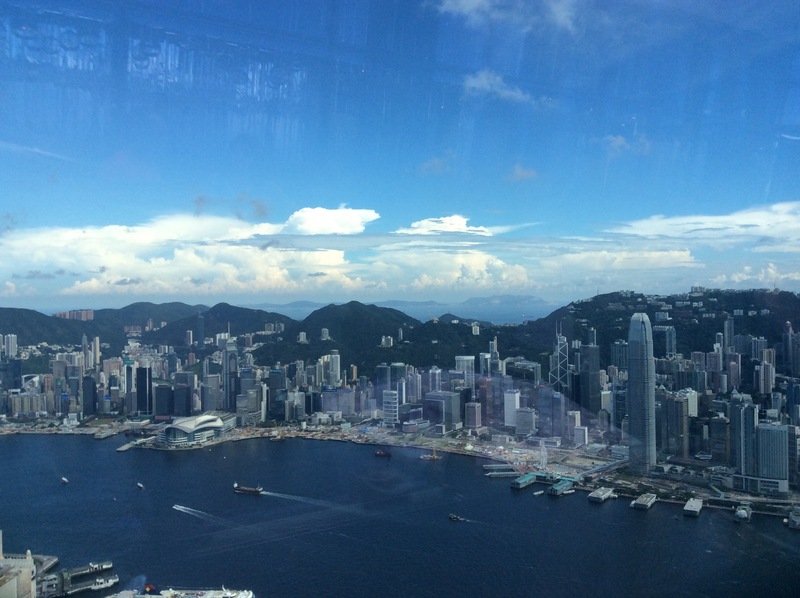 The view from the Ritz-Carlton hotel in Hong Kong at the Ozone Bar, the highest and in earth. The extensive subway network connects Hong Kong’s Islands and communities beneath the surface. Hong Kong has been a significant city for some time. It now boasts some of the greatest wealth, best universities and global business trades there daily. But the cities forming across China are doing it at such a pace it’s hard to map it. Huge swathes of their countries are mined, quarried and felled to support the quest for growth. As described in a previous blog and talk from TedTalks here the buildings are going up faster than the governance and infra infrastructure can keep up with. One without the other is destabilising and can lead to systems failure, unrest and inequity. Even in more established cities the growth is financed by the labours of the many for the benefit of the few. If these are mega cities where does that leave cities of the UK? Individually they are no bigger, on a global scale, than a village is to a city like London. Collectively they might just be significant. For that to happen in the UK will mean all the Core Cities, plus London, Belfast, Southampton, Aberdeen, Amsterdam, Paris, Brussels and Frankfurt to collaborate. To support this will require transport links between cities, over water, through mountains and in the air. And to do it without ripping up the natural capital we need to support our cities. The British Government doesn’t get this at all. It still sees itself as aglobal player when in reality it isn’t. The ‘Northern Powerhouse’ is a response to inward looking economic agendas instead of sing the opportunity for the UK to compete as a whole in the mega city economy. Extracting the UK from Europe would only hasten that inward looking agenda. The global challenge of climate change needs a global response and their is a special opportunity and role for universities to respond. With fast approaching 200 million students in global HE they are a key community of the global population that is, currently, unable to effectively engaged in a process of climate negotiation. IARU found a way to engage students in the COP15 process with statements of commitment taking place across the globe. In advance if Rio+20 students were invited to participate and promote their commitments, inc universities in Australia, China, Uganda. Melissa Goodall, from Yale, explained how there was a notable difference between both developing nation universities taking an outward, community, focus whilst developed countries focused on organisational scale, inward looking initiatives. The IARU Global University Climate Forum is a vehicle for student engagement at Paris COP21 in 2015. Proposals to be submitted in Autumn 2015. IARU looking to support students attending the event. Katrina Kam, a student born in Hong Kong and currently studying at HKU with a year of exchange in the USA studying sports science, gave a short presentation on her own commitments to engagement in local community initiatives, environmental programmes, etc. 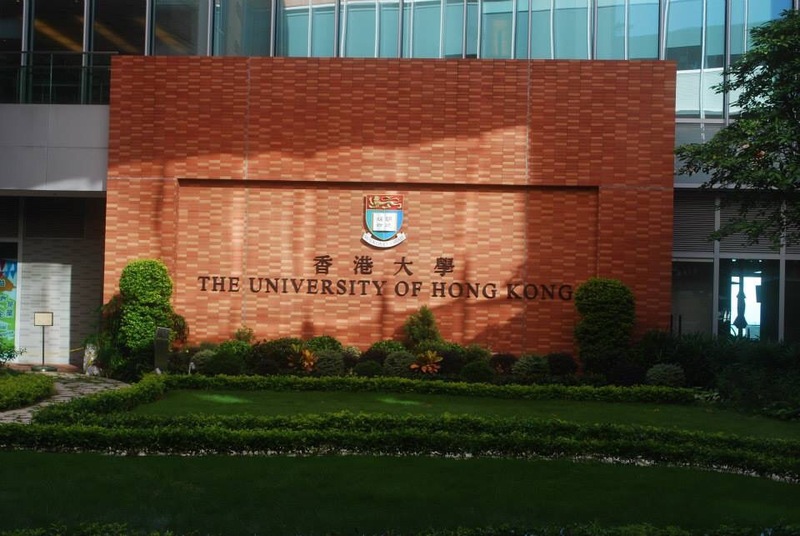 Whilst in the USA the mentor family were alumni of HKU – a useful and effective way of supporting students living and studying in a foreign country. Jen Lee, an international student at HKU, gave a perspective of why she chose HKU and the opportunities she was afforded in social sustainability and human rights, community engagement, supporting local people in access to legal services. Jen was involved in the Green Connections programme and informal activities such as Green Drinks in HK including outdoor classrooms. Hong Kong was an attractive place to study because if its complexity and challenges, environmentally, socially and its cultural diversity. I would urge anyone interested in student activity and engagement in this field to investigate Enactus.org and establish whether there is an active Enactus group in their city. Noted that Hong Kong University has an Enactus programme in the city. The benefits of exchange programmes can give a global perspective to students which they might not otherwise gain from simply following a traditional path of study. What are the skills that business needs in its workforce? How can universities ensure their graduates are equipped with those skills to enable business to be more sustainable? Research underway by the ISCN shows that whilst universities are providing well for the corporate sustainability roles there is significant room for improvement in how a wider range of disciplines are given the skills and knowledge to support wider roles in business. Surely, by doing this, we are ensuring our graduates are better equipped, better placed and more employable? So, how might universities better understand the needs of business so that they can provide for them? Dialogue is key, building strategic relationships where the direction of businesses (large and small) is better understood. In this session we heard from Swire, a Pacific based conglomerate with its origins in Liverpool, UK. Some recognition that there is a need to respond to global mega trends such as climate change through systems thinking, resilience, partnership development. Graduates with a global mindset, that transcend political boundaries need leaders who can inspire, lead and communicate complexity and value to society (of businesses contribution towards sustainability) neither convictions and passion. It’s clearly not about technical solutions! These areas of expertise can be bought in when needed. What businesses need is the ability to engage effectively with clients. Employees with the analytical skills to make the business and societal case. Is what universities deliver in line with this need? What should they do? Develop breadth and integration – focus on enhancing and integrating breadth of skills and less emphasis on the depth of skills. Articulating and leading – to ensure students have the ability to undertake complex analysis and communicate it effectively. Globalisation – e.g. China opening up and creating a factory for the world by doubling the size of the global workforce. Technological change – what is bought, how it is bought and how they work. Disruptive technologies are going to change the way in which society functions. Sustainability – growth in Asia has been at a cost. Environmental and human costs have been accrued. Business needs to have a response to the social and environmental challenges. Customer focused – with a focus on the needs of the customer. Innovation mindset – where and how in the process can an agile response be enabled. E.g. Rapid prototyping to create mini solutions and improve through iteration. Collaboration – you need to work with others through integrated supply chains. Developing other – working with colleagues, suppliers, etc. Fung have recognised they need to engage with their workforce in a cost-effective and engaging way using multi media video across 15000 factories. The development of a sustainable apparel coalition supported by Nike, Puma, etc to ensure environmental data and performance information is captured and supporting factories to be able to undertake this work themselve across 40 economies in 14 languages. The concluding thoughts were that the focus should be on the solution – working across disciplines. There will be trade-offs but there will be compromises. Graduates needs to understand this process and work within it. The Sustainable Development Solutions Network recognised the spiritual leadership, e.g. The commitment of the Pope Francis to the challenge of climate change. More practically, the University of Siena is illustrating how sustainability adds positive advantage to business. Moving from ‘why’ to ‘how’ to achieve it is the crucial next phase. John Robinson, Assoc Provost, Sustainability, University of British Columbia opened the morning’s dialogue session with a positive challenge to delegate, showing how, as a sizeable organisation with single ownership, a public mandate and an those around teaching and research, there is no better organisation to lead sustainable change within a region. Dependent on this is the culture within the university … But … There is a profound difference between ‘the university’ and ‘the faculty’ (defined by John as ‘academic’ and ‘operational’). The solution, of course, is to integrate the two so that the contribution of the support/operational services is recognised as is the contribution of academic communities to the direction of the university as well as their own faculty or research group. To facilitate change, it is important to move from a narrative that is about damage limitation and mitigation to one of net positive where the future is painted as positive, innovative, and much broader than just environmental so that social and economic factors are so much better integrated in to the strategy. The objective is to move towards ‘regenerative sustainability’ where there is simultaneous improvement in human and environmental wellbeing. 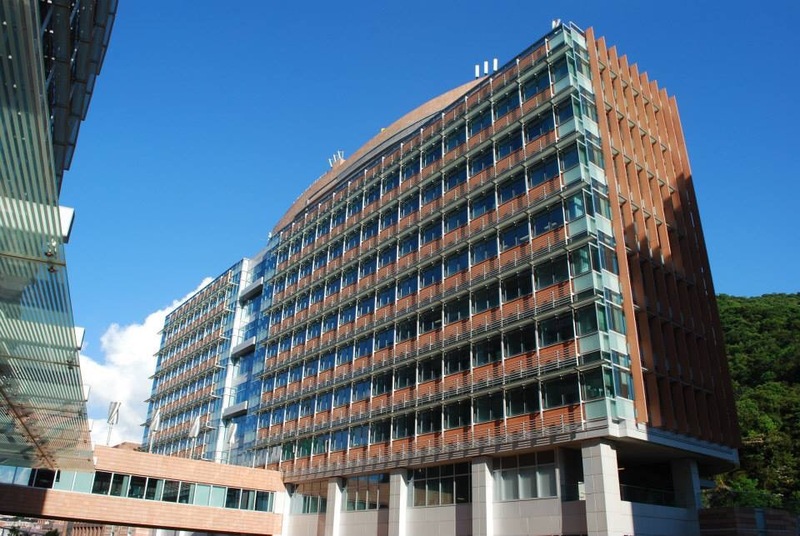 British Columbia has consciously made an effort to adopt their campus as a living laboratory where the assets, spaces, infrastructure, people, services are used as part of the academic research and teaching programmes. The climate change (energy) targets have shown a 20,000t co2e reduction since 2007. $150m capital investment made by the UBC Board over the period 2007-2015 to achieve this. UBC’s teaching and learning vision gives every student the opportunity to engage in a formal learning programme of sustainability. Each of its graduates leaves a little more informed and inspired and informed on sustaianability. An active travel programme underpins the engagement programme with the UBC now turning car parking areas into housing, with a greater return on those investments. Jeanne Ng, China Light and Power, as keynote showed how democracy and a diversity of opinions is a key challenge to decision makers. Social media is accelerating the ways in which people are engaged in the debate but also recognising that shareholders hold more influence than most. Whilst environmental performance and decision making can be objective, social issues are far more subjective and emotive. Human rights, ethics, corporate governance, labour practice, etc are wide open to interpretation and are more complex than they at first appear. TREES – monitoring drivers of change: technology, regulation, economics, environmental and social – against a background of changing expectation, aspiration in emerging economies. Equity constraints in carbon emissions intensity remains a key issue. Access to available, but higher intensity, fossil fuels, in developing countries and economies has seen per capita emissions grow. Reporting performance on a range of metrics around sustainability seen as key to performance improvement at China Light and Power. Internally, the company was able to identify gaps in performance between parts of the group across the whole business. CPL sustainability unit adopted the mantra innovate, incubate and integrate in response to their sustainability challenge. Marcelo Fernandez, Chancellor of the International University of Ecuador, gave an overview of the nation of Ecuador with a Pacific facing population of 16m highly dependent on hydro electricity (75%) and therefore the bulk of its emissions contribution is from transport. Despite that, the country is facing the consequences of a warming climate – particularly on the Galápagos Islands. UIDE seeks to develop a research centre campus on Santa Cruz, in the Galápagos. Increasing pressure and impact from tourism, which is steadily rising. Just 3% of the land of the Galápagos is occupied by people – the rest are protected by the Reserve. It provides the opportunity for a natural laboratory. UIDE has purchased 85ha of land to undertake this work – with 20ha identified for built facilities for the research to be undertaken, including residences. Of course, the aspiration is to build an exemplar of sustainable construction with teaching rooms, laboratories, residences, included. UIDE are now seeking to raise the finance for the project. Gitile Naituli, from the Multimedia University of Kenya, reminded the conference that the starting point and perspective from African nations is very different. With many nations considering themselves at the ‘start’ of their journey although often more in-tune with their natural environment. Often the traditional ways of developing were better than the ‘innovations’ that have been introduced since. The challenge now is to assist decision makers, investors, students, families, communities in how to live sustainably without, necessarily, following the path of ‘so-called’ developed nations. To remember the ways in which these communities were sustained in the past is to sustain it in the future. Reward inter-disciplinary and research – not punish it using a more comprehensive approach to evaluation that isn’t sullied by rankings and the quest for an increase in publications by volume but not by their comprehensiveness. Again, Rene made the call for the use of campuses as living laboratory for research and teaching and to engage with wider society. Is there enough courage for fundamental cultural change? This afternoon at the ISCN conference in Hong Kong there is a focus on the way in which universities and cities can form effective, collaborative alliances to contribute towards meeting the challenge of urban living in the 21st Century. It’s a response to the World Economic Forum Global Risks 2015 report which flags up climate change, urbanisation and growing population and aspirations within them. 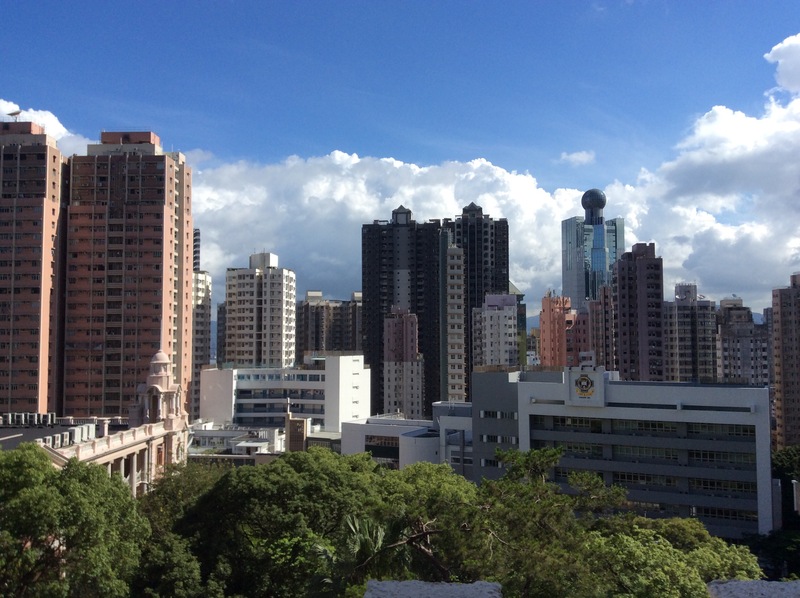 Hong Kong – a city blessed with top universities and some significant urban challenges. K.S.Wong, the Secretary for Environment, Hong Kong, spoke at the conference as a graduate of Hong Kong University and has led the policy development of green building standards building on his training as an architect. Despite the obvious urbanisation of Hong Kong, the island remains green, but liveability and its eco footprint is central to its planning. Policies around green spaces, sprawl, natural assets, connectivity and isolation are in place to preserve these attributes. By maintaining high levels of density it is clearly possible to protect natural assets but also achieve impressive performance in energy intensity. Developing an exemplar zero carbon building. The climate in Hong Kong presents a significant challenge with high temperatures and humidity driving demand for cooling and dehumidification systems to maintain comfort in buildings. Sharing the knowledge and learning from Hong Kong with the developing world is central to its mission. Again, air quality remains a high priority and by law low sulphur fuels will be required to address this problem. Shipping remains an important contributor to poor air quality in Hong Kong. Air, waste and energy are central to its strategy, with a strategy of tackling the causes at source and, encouragingly, the focus isn’t just on the hardware but also on the software – working to promote behaviour change through social marketing. 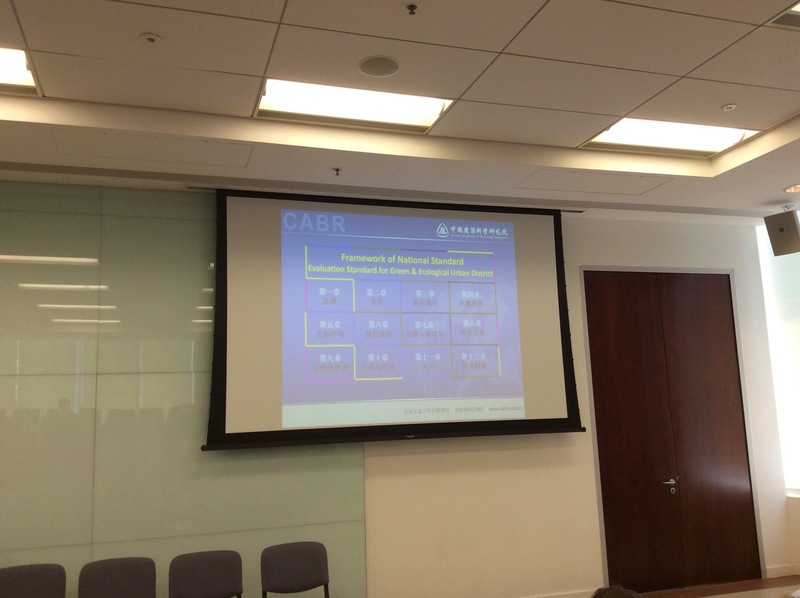 There is a clear expectation from KS Wong that the University of Hong Kong has the opportunity to out perform the HK average in terms of waste, energy and air quality. The Air Quality Health Index is the first in Asia to adopt this approach to share health data to those vulnerable to air pollutant. Similar schemes exist in the UK. Following the keynote from KS Wong it was great to hear from Mayor Park Won Soon from Seouol via video. As a renowned proponent of sustainability and has committed to its principles in the development of Seoul. He explicitly made the point that cities and universities must work together to achieve their collective goals both in terms of infrastructure and the development of its communities. Seoul has worked with many universities in South Korea to further these aims. Fostering synergies between universities and cities is key to addressing climate change, urbanisation, water stress and working together to identify solutions for cities. Seoul recognises energy is a key issue and is taking a strategic approach to reduce dependency on nuclear through moves to reduce demand for electricity through efficiency drive and localised renewable investment. This has also created a surge in the growth for more sustainable energy services such as LED lighting creating wealth and employment. In Seoul, universities and hospitals are amongst the most energy intensive buildings in South Korea. The Government has invested in the universities themselves with a $40m to demonstrate leadership and to drive down consumption. Throughout his address there was continued emphasis on the opportunity to stimulate and engage young people with innovative approaches to tackling urban challenges with an emphasis on civic responsibility. Again, financial incentives from the government have catalysed this engagement. Civic engagement has been supported through a series of Town Hall meetings – inviting opinion and input to macro issues like energy. An association for 35 universities have combined to promote and develop green campuses. An energy cooperative has been formed to provide finance and reinvestment in renewable energy generation projects across Seoul. Following those two plenary speeches a panel of experts presented and discussed the role of universities and cities in the 21st century. Healthy high density cities is becoming an increasingly important factor for fast growing cities and a new research centre has been formed at HKU to address this very specific challenge between engineering and architecture and health professionals. Aalto University is consolidating after the merger of 5 universities giving the opportunity to create an integrated campus/science park to work closer with business and industry. The design of the new campus is designed to positively encourage collaboration to support the strategic aim of integrated academic activities. Aalto is working with Tangjin University in furthering its relationship with Asia. The University aims at energy self-sufficiency by 2030 through energy generation on site and changing consumer behaviour. They are developing the most powerful geothermal system in the world with a 7km geothermal well to produce 10% of the city’s energy needs. Sandy Burgoyne, Director Future Cities Collaborative, from The University of Sydney, spoke about how the research underway to inspire city leaders to develop sustainable cities. Policy, practice and people are at the heart of the programme and engage Mayors in developing their own understanding of sustainability. The model builds on the Mayors Institute in the USA and encourages Mayors to bring challenges forward and to work collaboratively with universities to solve these challenges. The programme is working at city scale – eg Paramatta and looking to identify solutions that are right for that city. The universities involved in these kind of programmes can bring thought leadership, collaboration across government, industry, commerce and academia to show what is possible. The model works well for ‘real time’ responses to challenges at scale. The Chief Excecutive of MTR Corporation in Hong Kong, Lincoln Leong, gave an overview of the way in which the MTR system in HK has transformed the island. In an impressive and enthusiastic presentation he showed how Metro systems play an important role in urbanisation across the world. In HK there are 221km of track, 5.4m passengers and provides almost half of all public transport journeys. As a result of success in HK over the past 40 years they are now expanding into Australia, mainland China and Sweden. By providing this infrastructure can transform cities, connecting communities and creating opportunities to enhance communities – retail, business and industry. The 3km extension of the network to the west of HK at the end of 2014 connected Hong Kong University into the whole island enabling greater access from east to west. Significant investment in lifts and escalators to service stations gave additional benefits to all communities to assist movement around the hilly terrain of the island. 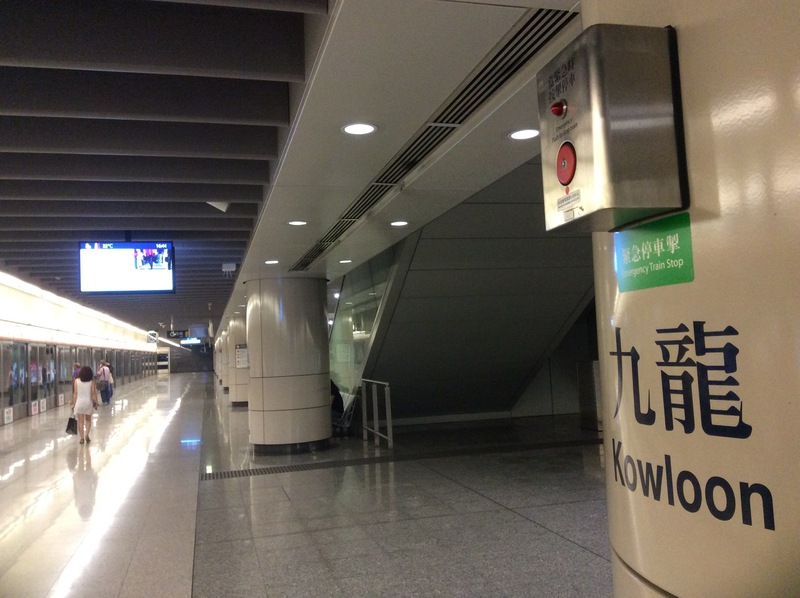 Further expansion of the MTR is planned in HK to provide greater connectivity. Edward Ng, Chinese University of Hong Kong, espoused the virtues of the intellectual contribution of the university to policy development in Hong Kong. As an example, the assessment of urban heat islands has helped shape thinking on energy and urban planning. The opportunity to deliver sustainable energy solutions and reduce demand through improved behaviours. By installing values of sustainability into university education and encouraging sustainable values such that ‘convenience’ is recognised as costly. Each speaker throughout their short sessions and in the discussion session supported the concept of universities and cities working much more effectively together at all scales – at the city scale, at the district/campus scale, at the organisational scale and with individuals and their communities. So why doesn’t it happen more often? I suspect it is largely because the one to one relationships between leaders of both cities and universities haven’t invested enough in building an effective relationship on which to build this approach. It’s good then that universities and cities are beginning to rebuild those relationships. Let’s not pretend it’s altruistic and philanthropic. Much of it in the UK, at least, is borne out of a restructured public sector that no longer has the intellectual capacity to develop and design policy in an era of ever increasing complexity and risk. Evidence, data and informed policy will maintain sustainable urban living. 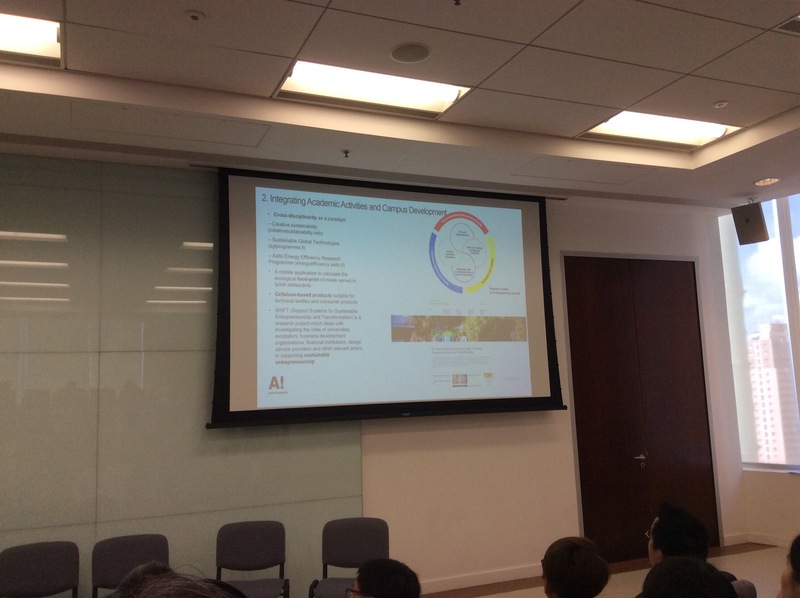 Professor Stephen Lau from the National University of Singapore explains the routemap adopted by China towards Green Building development. 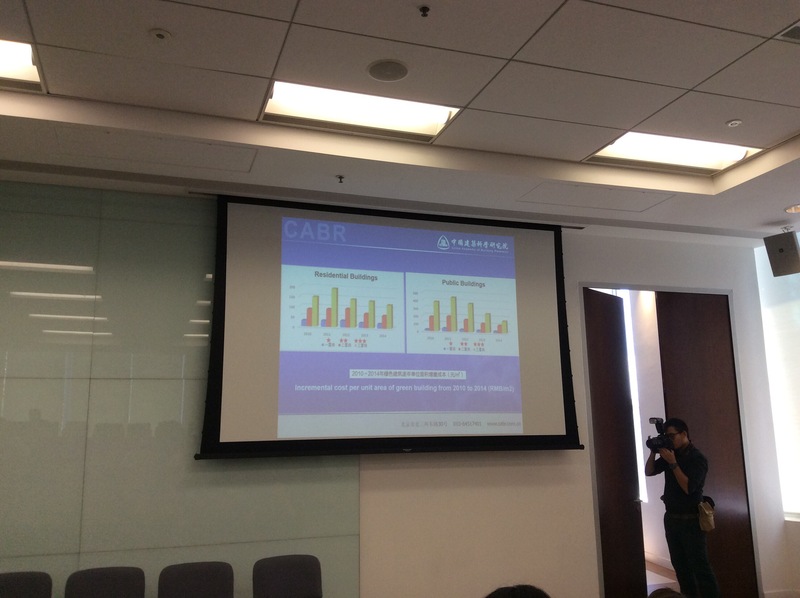 The source of the materials presented are attributed to http://www.cabr.com.cn and shows that coastal areas of China, where land values are higher and space is more constrained and economic conditions suit the adoption of green building standards. The costs of projects that are ‘greener’ are higher but the additional costs are falling over time as the solutions to the standards are adopted and better understood. Globally, Europe, China and Australia are seen to be amongst the highest standards in green buildings as shown by the International Energy Efficiency Scorecard 2012. China now 4th overall globally in terms of standards in the 2014 analysis (Germany is 1st). There is strong emphasis on air quality, particularly PM2.5 in Beijing and the point source with significant contributions coming from outside Beijing itself through coal fired energy generation and construction. This is particularly challenging in the context of growth in China – both in terms of urbanisation and energy demands. Policies to tackle this set standards in new construction to meet carbon targets and air quality. Consideration of embodied energy in materials is now more prominent and recognising 70% of the impact is in life use. Collaborative research undertaken between the US and China has consdiered absolute and relative targets against population, GDP and on a spatial basis. Further analysis of CO2 emissions of typical cities has been undertaken. China working to dependency on non fossil fuels which is driving interest in nuclear power in China. The concept of a ‘Green Campus’ is developing in China. The opportunity to educate students about green building technologies is a primary driver for this with the health and energy efficiency benefits seen as secondary in both schools, colleges and universities. Learning is being taken up in Provinces and a competition to stimulate thinking around sustainable campuses is to be launched later this year led by the China Green Business Council. Active engagement with children in popular science lectures in the Provinces.